Fold-Out 10. 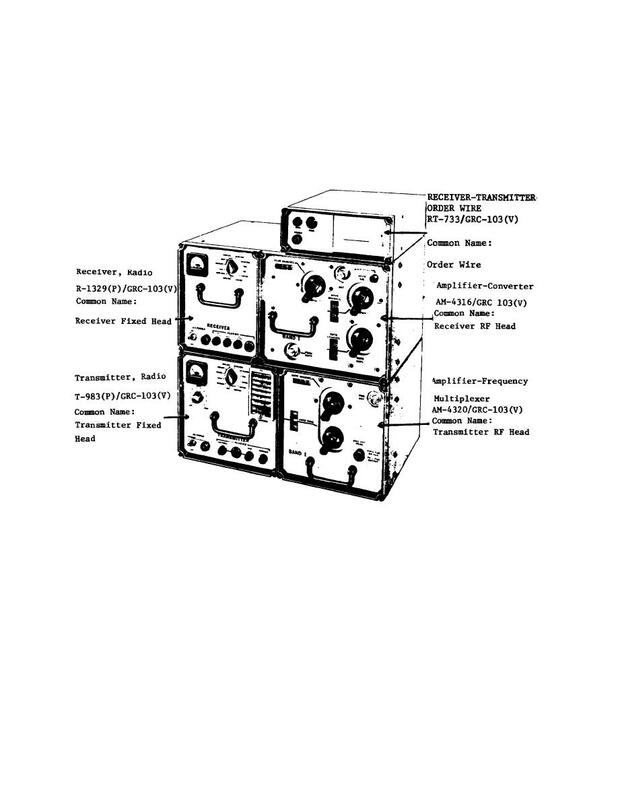 Radio Set AN/GRC-103(V)1, less antenna, mast, and minor components. Home > Communication Systems Reference and Training Manuals > > Fold-Out 10. Radio Set AN/GRC-103(V)1, less antenna, mast, and minor components. Fold-Out 11. Transmitter, Radio T-983(P)/GRC-103(V) and Amplifier-Frequency Multiplier AM-4320/GRC-103(V) controls and indicators.